To identify whether a person is infected with HIV or not, two kinds of tests, namely screening test and confirmation test, are required. If the results of the screening test turn out to be indeterminate or positive, then a confirmation test is conducted. In case the confirmation test turns out to be positive, the person is diagnosed as being infected with HIV. The screening tests are EIA analysis and IC analysis, which look for HIV antibodies. Recently the CLEIA analysis, which looks for both antibodies and antigens at the same time, has been used. It takes 22 days on average from an initial infection for the body to produce antibodies. Three months after infection enough antibodies are produced to yield a positive test result for over 99 percent of persons who are infected. 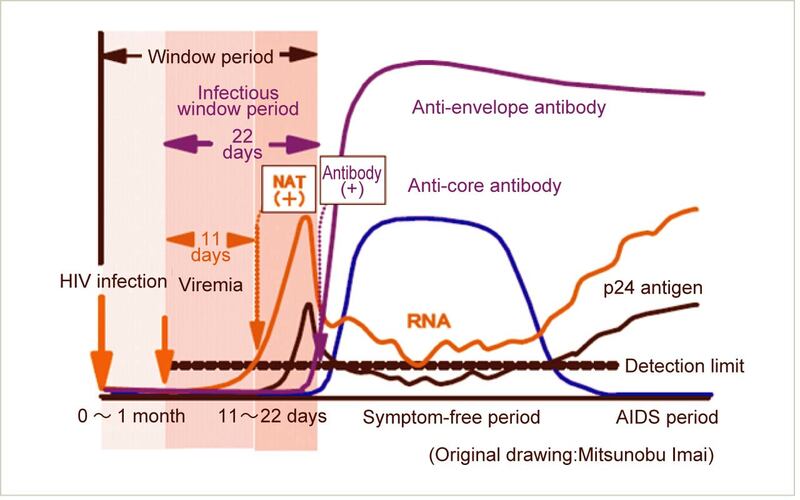 Test analyses that check for antibodies and antigens at the same time can shorten this period (18 days on average) when an antibody test would yield a negative result even though the person is infected, by discovering the p24 antigen, which is created earlier than antibodies. For the confirmation test, either the Western Blot analysis or RT-PCR analysis is used. In some cases, both analyses are conducted at the same time. While the Western Blot analysis detects antibodies for some parts of a virus, the RT-PCR analysis examines HIV genes. 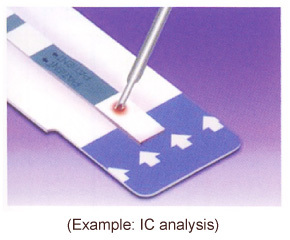 The RT-PCR method can detect an infection before antibodies are made; thus the analysis is said to be particularly useful for patients who are suspected of being in the acute infection period. Tests that are called same-day tests or quick tests utilize the IC analysis. While the false positive result percentage (the percentage of results that are positive although the person is not actually infected with HIV) in the EIA analysis is 0.03~0.3%, that of the IC analysis is said to be 0.6~1.3%.